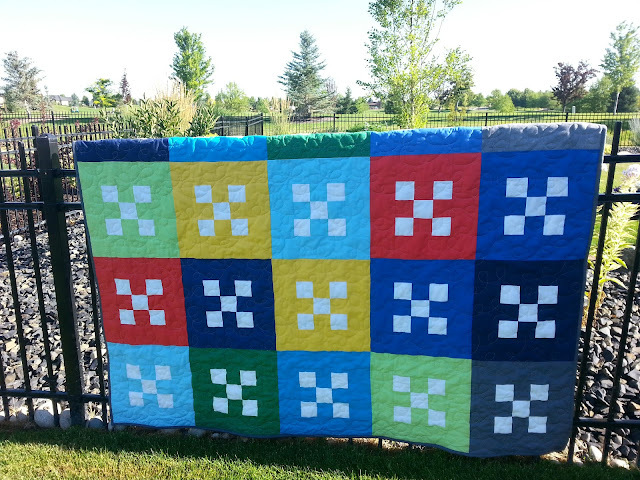 This page contains lots of finished quilts and other quilted items. Some pictures are linked to the original posts and others are not. 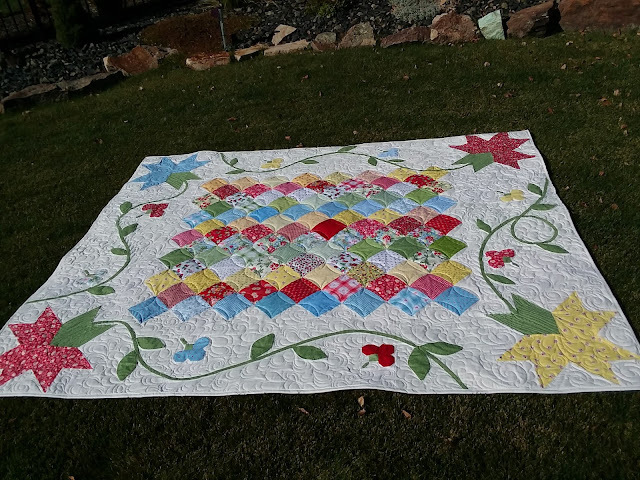 When there was a call for pattern testers, I volunteered and made this cute pattern by Lorna of Sew Fresh Quilts. For a graduating girl at church. 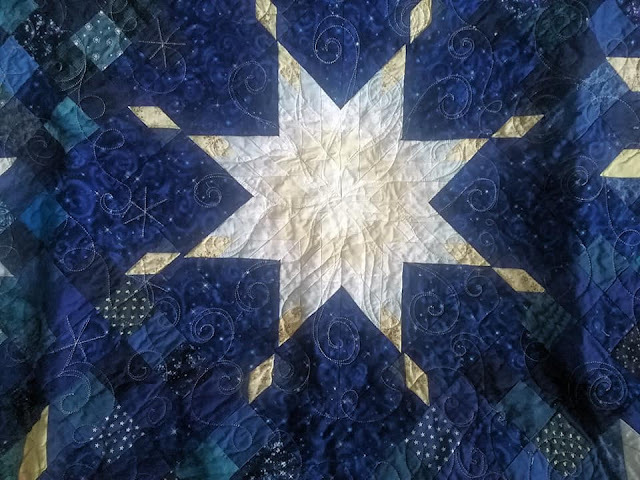 This quilt is called the triangler (for my husband who loves to fish) and contains some triangles with fish on it-- maybe why that's why the cat claimed it right away. 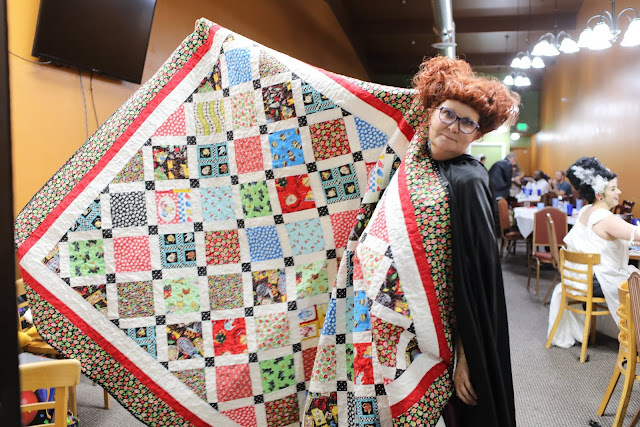 This quilt went to Staci and her new husband. Not sure who this will go to yet. 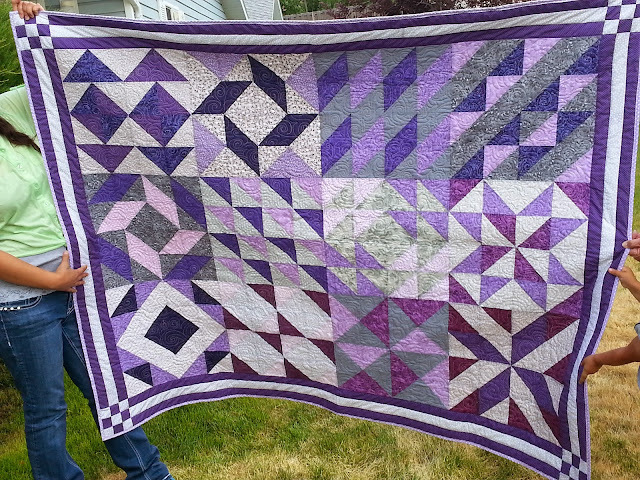 This quilt is for my brother and his wife. This quilt is for a niece. Here's the twin to the next quilt-- made during the Layer Cake Quilt along by Material Girl Quilts. For my niece, Chris. 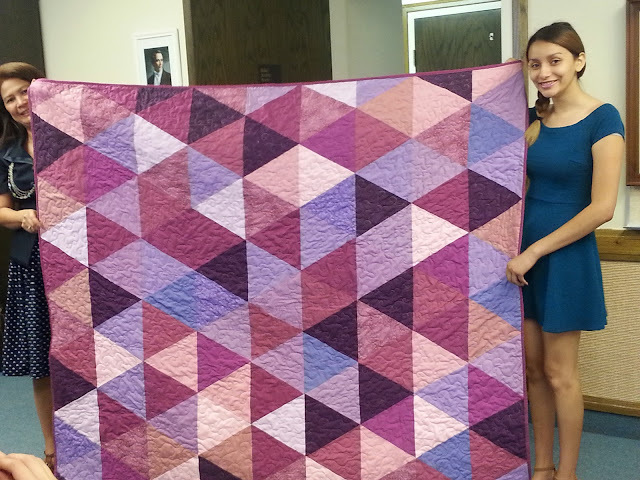 This quilt will go to my niece, Tarra. finished Projects! If you want to see more photos of any of these gallery projects, you can see them in the blog posts. 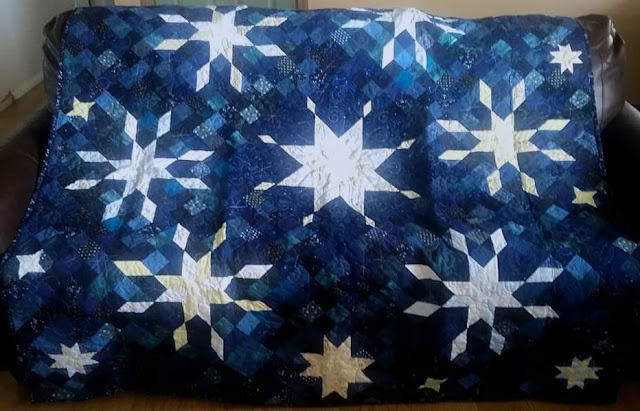 My very first quilted project made shortly after learning to quilt. I was trying to do free motion quilting on my regular machine and didn't know how yet. It's still cute though. Made for a girl at church. Made for Muriel to hang above her fireplace. Made for baby Olivia whose mom decorated her room with Olivia the pig decor.